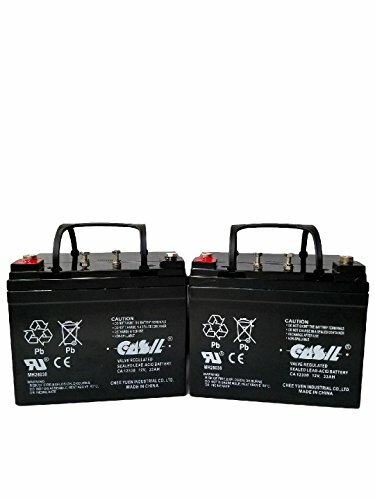 Casil rechargeable Sealed Lead Acid SLA AGM battery characteristics: 1. Casil batteries meet and even exceed the strictest device's manufacturers specification needs, we take care from all Row material and components to the Final Product, tested One by One. 2. Casil Batteries have a Long lasting work life with high standard Absorbed Glass Material that gives our batteries between 3 to 5 years of working life. Each battery carries the best technology and performance. Feature high discharge design, wide operating temperature range, and long expected service life. 3. Casil batteries feature Valve-Regulated Lead Acid (VRLA) SLA Sealed Lead Acid Battery Technology, making them safe to operate in any position. Manufactured under a Quality standard, Environment Certificated Plant and facilities: ISO 9001 Quality Management Systems ISO 14001 Environment Management System (EMS) ISO 18001 Safety Environment Standards certification UL (Underwriters Laboratories) certifying Quality and manufacturing processes 4. Pro Power Battery provides a 1-year Pro-Rated warranty. Install THIS BATTERY in your Device using the same original configurations and existing cables and connectors. Please check your battery for dimensions and Terminals prior to ordering as manufacturers may change requirements without notice. Lead Acid Batteries are typically used for Home Alarm Systems, Uninterruptible Power Supply(UPS), Lighting Equipment, General Electronics, Home Security Systems, Emergency and Fire Systems, Medical Devices, Electric Scooters, but also for higher rates capacity devices like Solar Panel Systems, Bank of Batteries Backup for Servers, Motorcycles, Wheelchairs and many Other Applications. High standard Absorbed Glass Material separators, guarantee better electrolyte conductance between plates, and giving more energy when is demanded. Each battery carry the best technology and performance. Featuring high discharge design, wide operating temperature range, and long expected service life. Valve-Regulated Lead Acid (VRLA) Technology making them safe to operate in any position. Manufacturer: Chee Yen Industrial Co., Ltd. Publisher: Chee Yen Industrial Co., Ltd. Studio: Chee Yen Industrial Co., Ltd. If you have any questions about this product by CASIL, contact us by completing and submitting the form below. If you are looking for a specif part number, please include it with your message.